Join us for a weekly bush playgroup program (10 sessions) where families gather to enjoy all the benefits that nature has to offer at the beautiful Banksia & Birrarung Park which is situated on the banks of the Yarra River in Bulleen, a north-eastern suburb of Melbourne, offering plenty of space to explore and nature play. 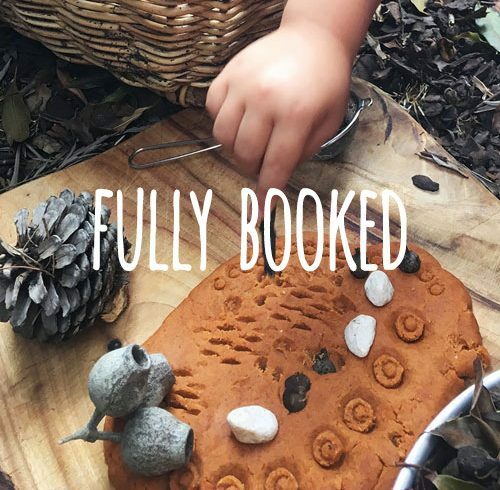 The children will enjoy a range of sensory nature play activities including mud kitchen play, story time on the mat, song and craft sessions, climbing, balancing, building and learning about our natural environment. Our program has been developed to give your child optimum opportunity to build their gross motor and physical skills through climbing, balancing, walking and fine motor skills during our craft activities. Research clearly shows that the more time your child spends in nature, the better they are prepared for school, both physically and emotionally. Our playgroups are also a time for parents to disconnect from their busy lives (and technology) and re-connect with their child in nature. This time is as much for you as it is for your child. Bush playgroup is an all weather outdoor playgroup so you need to make sure you bring appropriate weather protection and clothing. Children must have closed footwear when walking in the bush, sun hats, sunscreen, wet weather gear, plenty of snacks and water and a change of clothes.